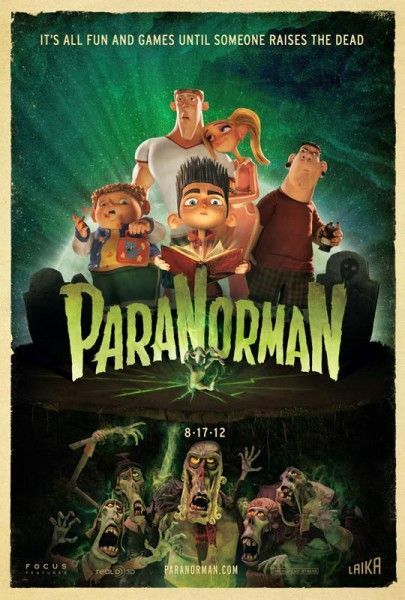 LAIKA’s awesome 3D stop-motion feature, ParaNorman opens this Friday. Directed by Chris Butler and Sam Fell, the film centers on a young boy who can see the dead and must use this gift to lift a curse that threatens his small town. ParaNorman features the voices of Kodi-Smit McPhee, Anna Kendrick, Christopher Mintz-Plasse, John Goodman, Casey Affleck, Leslie Mann, Jodelle Ferland and more. For more on the film, here’s six clips, a very cool featurette called Time Lapse, and all our previous coverage. At the recent Los Angeles press day I spoke to Anna Kendrick, and we talked about making ParaNorman, her reaction to the finished film, what surprised her about the recording process, upcoming projects like Drinking Buddies and End of Watch, and what people want to talk about when they meet her (hint: Twilight). Hit the jump to watch. Finally, here’s my video interview with Christopher Mintz-Plasse and directors Sam Fell and Chris Butler. What is she excited to promote later this year and what is she getting ready to film. Talks about an improv movie she just wrapped on with Jake Johnson and Olvia Wilde. Right now it’s called Drinking Buddies.